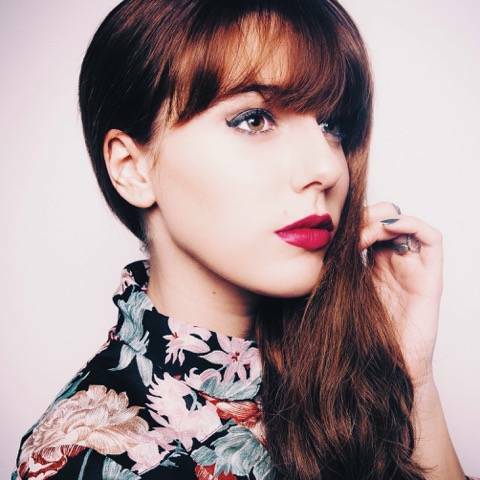 Riding the wave of young indietronica talent from the US is Emily Vaughn, an electro princess from Florida. Her new track ‘Better Off’ is about finding new beginnings in broken down, past relationships. We caught up with Emily to find out a bit more about her and the new track. Something that’s been consistent since before I can even remember, is the writing and singing of melodies. Music made sense to me before anything else did, so I took what I knew and ran with it. I grew up in an artistic family who encouraged every musical move I’ve ever made. This is just what I do. It’s been an incredible journey of growth-in my self, my image, and now with the music industry. I’m extremely grateful to be experiencing such positive feedback as I share my passion with the world. Your new track ‘Better Off’ is about being happier without a relationship full of negativity. Would you say that your time spent in Florida has made you look on the brighter side of things? It’s possible that the constant Florida sunshine might deserve some recognition for my positivity. However, I don’t think it’s had any significant impact on the way I handle situations. I always try to find the light in everything. Which is why Better Off is less about the boo-hoo moment of an ending relationship, and more about what’s to come now that there’s freedom in and around yourself. I can’t get enough of all of the strong female pop artists taking the music industry by storm such as Betty Who, Banks, Haim, Robyn, and Taylor Swift. I pull influence from their music, obviously, but almost more importantly, I highly respect and try to mirror the way they carry themselves and display their image/character. This is a bit of a tough question to answer considering that my music taste varies from top 40 pop, to 90’s R&B and everywhere in between. However, I’ve been so obsessed with newer R&B artists like “Gallant” and if I’m honest, I’ve been binging on The Weeknd on repeat for the past few weeks. Listen to ‘Better Off’ below.